In the day I hide in caves and under rock ledges. Happy Fish luderick is wild caught in some of the most pristine and carefully monitored fishing grounds in NSW: the Manning River, Wallis Lake, Smiths Lake and the Myall Lakes. 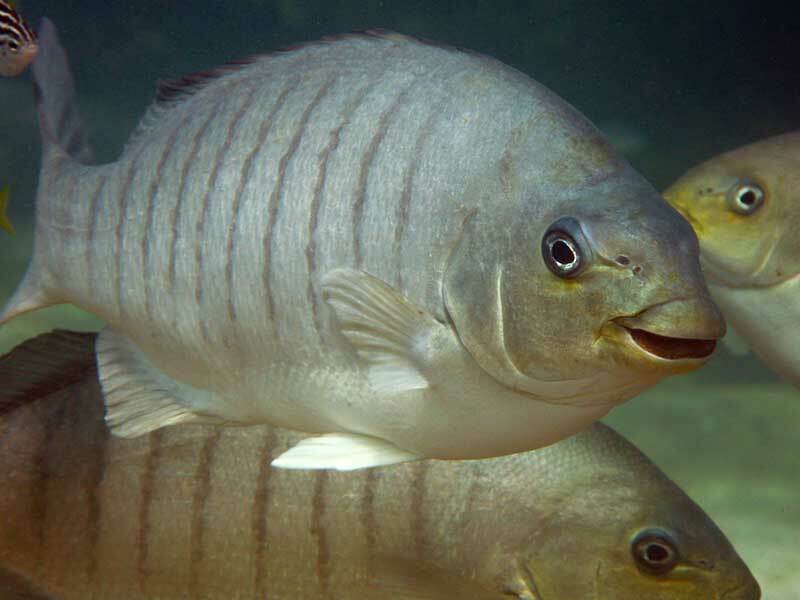 I’m a tough fighter and strong swimmer, feeding primarily on sea grasses, molluscs and worms. I’m sexually mature at about 3 years, live till 11 years, and grow up to 40cm. Harvested with care and iced immediately, ensuring fish are rendered unconscious in seconds. This reduces fish resistance, lactic acid and maintains glucose in the flesh, enhancing the delicate texture, sweet flavour and contributing significantly to longer shelf life. When handled with love, a moist, soft, sweet and delicate tasting fish. Do not be deterred by the bad rap it often receives due to poor harvesting & handling techniques.